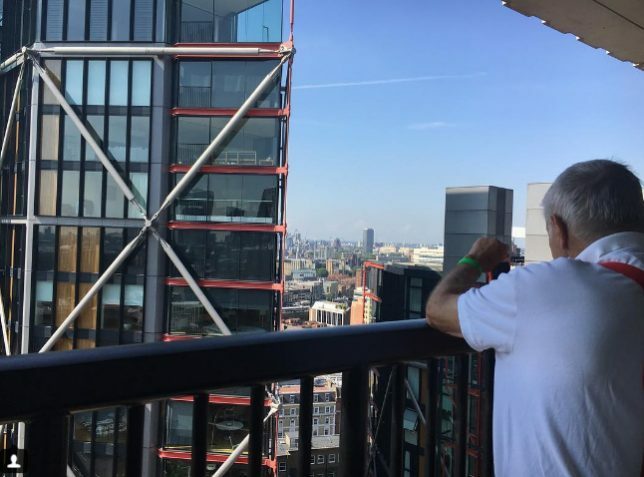 Visitors to the new panoramic rooftop deck of the Tate Modern are being told not to take pictures … and not just of artwork on display inside the galleries: voyeuristic snapshots inside neighboring apartments are now off-limits as well. 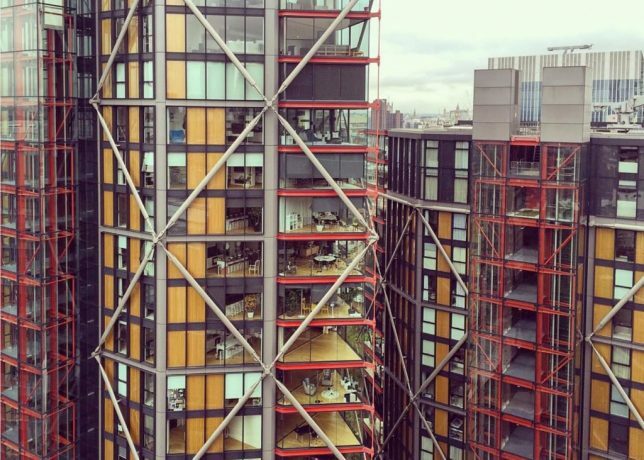 The neighborhood Neo Bankside apartments have threatened to sue the institution over this addition, an extension to the Tate designed by Herzog & de Meuron that opened earlier this summer. 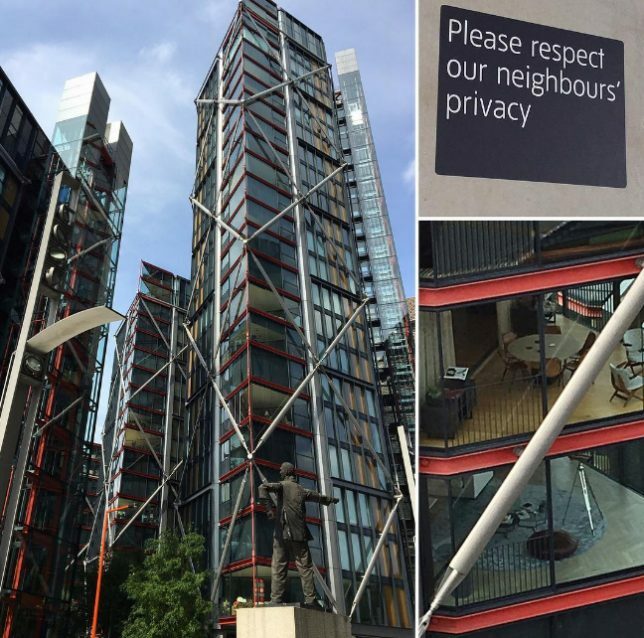 The problem: people are shooting zoomed-in photographs from the viewing platform then posting them online, exposing living rooms and bedrooms behind floor-to-ceiling and wall-to-wall glass facades. Architectural responsibility aside, solutions have been proposed to the situation. For the Tate, ideas like closing the deck or installing a screen of plants on it have been considered. On the Neo side, a film could be applied to the glass to deflect gawkers. Of course, there is arguably a ‘buyer beware’ component to this fiasco – living in an urban condo with extensive glass (particularly in a vertically-growing city like London) means making certain concessions to privacy. 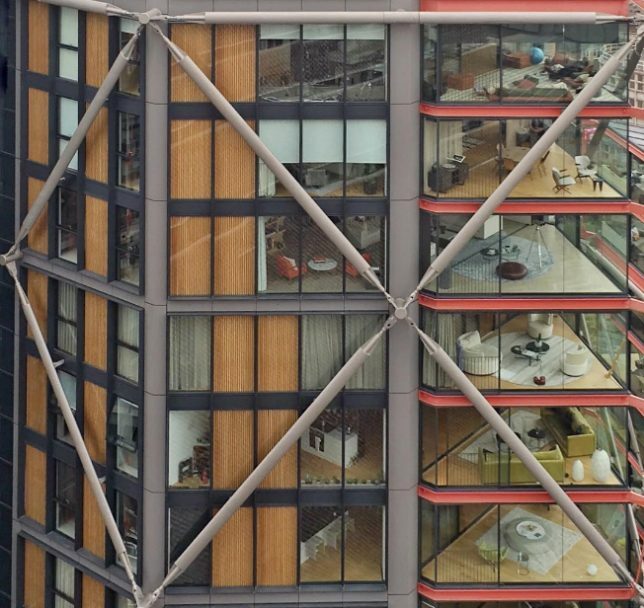 Those who live in glass houses may need to be aware of the risks they are taking – having a room with a view means that people can probably view you, too. Meanwhile, the Tate defends the design. 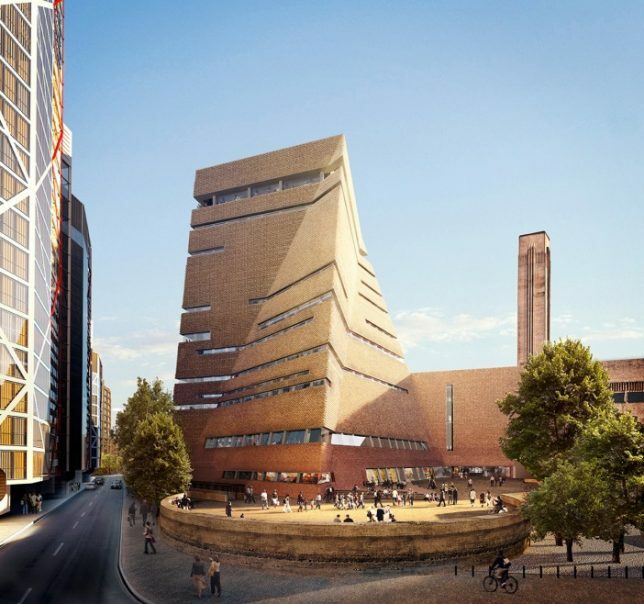 “The viewing level is an intrinsic part of the free public offer of the new building, providing a 360-degree experience that is virtually unique to London,” said representatives of the museum in a statement. Realistically, if someone can sue over viewers in this case and place, it also opens the door to lawsuits between basically any set of urban buildings. “Since the very first plans were drawn up in 2006 we have been through an extensive consultation and planning process, and have maintained an ongoing dialogue with local residents. At no point during this process were any concerns raised regarding the viewing platform. There is signage encouraging the public and visitors to use it respectfully and responsibly” (Instagram images by refik, ellarog and karen_1605).